Mini Passeio de Bicicleta e Barco no Período das Tulipas! Cinco dias de passeio com bicicleta e barco no pico da estação das Tulipas que passa por alguns dos cenários mais belos do "Jardim de Amsterdã". 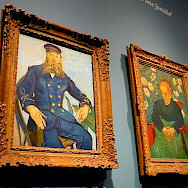 Você terá também a oportunidade de visitar os mais variados museus, pontos de interesse e fazer compras na menor e mais carismática metrópole da Europa. Os canais de Amsterdã hoje fazem parte do arcervo da UNESCO. 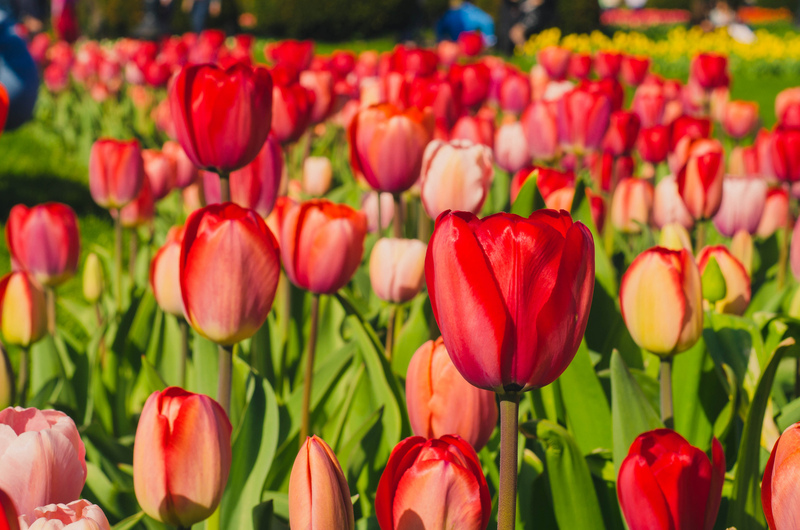 Pontos altos do passeio incluem a cidade de Haarlem, a mais famosa exibição de flores do mundo, o famoso jardim de Keukenhof próximo a Lisse e o maior leilão de flores do mundo em Aalsmeer. Ver outros passeios de bicicleta e barco na Holanda. *Cabines triplas : 2 Regular e 2 Premium. *Cabines triplas : 1 Tripla Upper Deck e 1 Tripla Lower Deck . *Note que os preços são baseados no custo atual com combustível, se o preço do combustível acrescer de mais de 5%, haverá a necessidade de pagamento de um suplemento. EBike: $ 58 $ 87 € 50 NOK 479 £ 43 kr 442 Dietas especiais (além de vegetariana): $ 58 $ 87 € 50 NOK 479 £ 43 kr 442 Capacetes incluídos nos barcos Magnifiques. As tarifas são por pessoa em ocupação dupla (quarto/cabine). Leia antes de você reservar sua viagem. Recomendamos adquirir um seguro de viagem de bicicleta. † Taxa de câmbio estabelecida 90 dias antes da viagem. Por favor consultar "Perguntas mais Frequentes"
Curto trajeto de trem do aeroporto até a estação central de Amsterdã. Da estação de trem, apenas 15min de caminhada para o local de atracação do barco, ou pode também pegar um táxi. 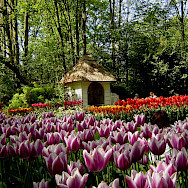 POR FAVOR NOTE que a estação da floração das tulipas na Holanda vai do fim de março ao meio de maio, a depender do tempo e da temperatura. Pode ser que em anos com invernos mais longos a tulipas tardem a florar, e no caso reverso, a floração ocorra mais cedo, terminando também mais cedo. Recomendamos noites extras em Amsterdã. Tour de bicicleta e barco guiado de nível fácil com relativamente baixa quilometragem. O terreno é na sua maioria plano e o trajeto, em grande parte, em ciclovias. Pode have vento frontal. Embarque será entre 14h00 e 16h00 em Amsterdã. Às 17h00, pequeno jantar enquanto navegamos para Zaandam. Pequena caminhada pelo centro da cidade. 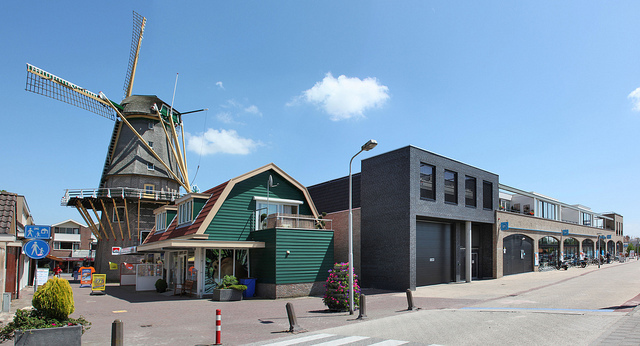 O primeiro dia de pedalada o leva até o museu ao ar livre de Zaanse Schans ( entrada já incluída). 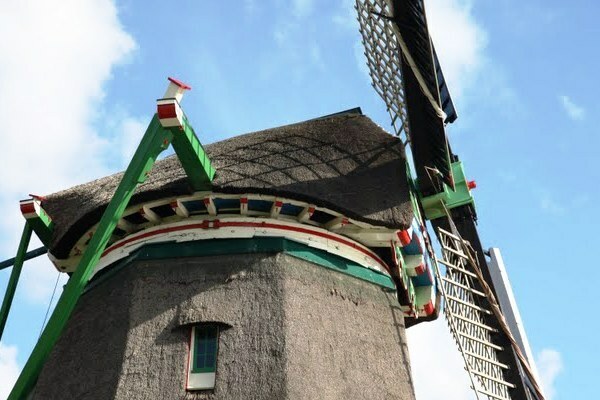 Você verá belos moínhos de vento, um vila holandesa autêntica, fábrica de queijo e sapateiros de tamancos típicos da Holanda. Em seguida, retornamos para o barco. Pela tarde, você pode escolher entre pedalar até Haarlem (aprox. 23km) ou ficar no barco durante o trajeto (2h30minutos). Seu ciclismo para o Keukenhof começa logo após o café da manhã. 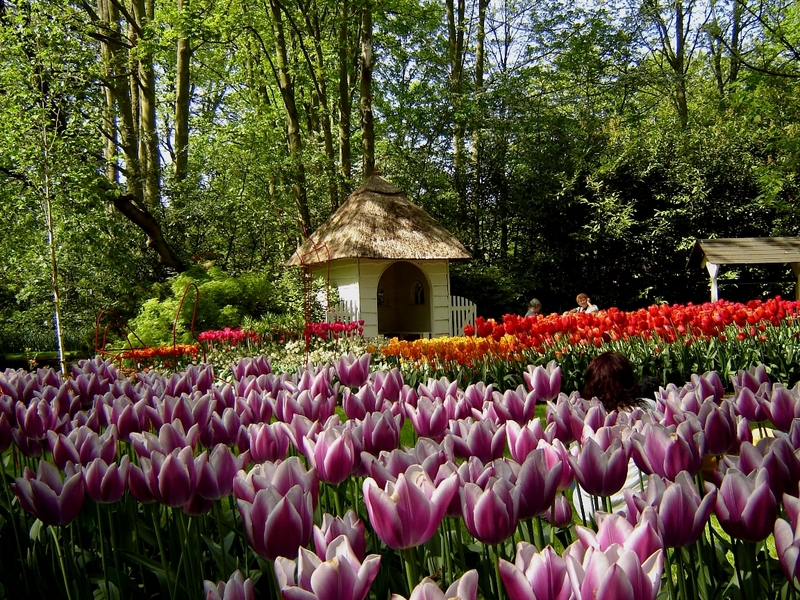 Keukenhof é sem dúvidas o mais famoso parque de flores do mundo, com centenas de milhares de flores em pleno desabrochar. Sublime! Após seguimos para Kudelstaart, onde o barco lhe espera nas margens dos lagos Westeinder. Depois de um rápido café da manhã, seguimos para o leilão de flores de Aalsmeer. Já cedinho, milhões de flores são leiloadas e vão abastercer o mercado europeu praticamente todo. Às 10h00, retornaremos para o barco em Aalsmeer para um brunch (pequeno almoço). Em seguida, você pode optar a ficar no barco ou por fazer o trajeto até Amsterdã de bicicleta. 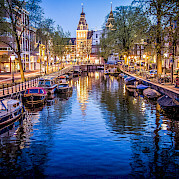 A noite em Amsterdã, fica livre para você curtir essa cidade maravilhosa que tem tanto a oferecer em termos de museus, mercados, arquitetura, arte etc. Ou ainda pode fazer uma pequeno passeio de barco pelos canais de Amsterdã. Pedal: Amsterdã (Veemkade) passeio de ida e volta a Waterland aprox. 27 – 35 km / 16-22 mi. Entrada no leilão de flores: aprox. €7. Tour pelos canais de Amsterdã aprox. € 10. *IMPORTANTE: O leilão de flores não acontece finais de semana e em dias de feriado público. Por conta disso, para que a visita ao leilão não caia em um feriado, nessas ocasiões a ordem do itinerário muda. Desembarque depois do café da manhã. Por favor deixe sua cabine não mais tardar que às 9h30. Se você precisar deixar as malas no barco por mais tempo,por favor, falar com a tripulação a respeito, eles são bem acomodativos. Gostaria de ver outros passeios de bicicleta e barco na Europa? Últimas novidades sobre nossos tours de bike na Europa. Click para mais detalhes específicos desse passeio. 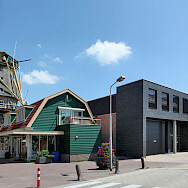 This tour is run by Sander van der Veer and Els Keuleers and Boat Bike Tours. We went on the tulip tour in Holland. It was breathtaking! Tripsite took us to the flower auction and the Kukenhof Flower Gardens which were beautiful and I would never have known about them. We had an amazing time! The scenery along the bike path has stayed with me. We had so much fun biking around Holland. The scenery was fantastic.... beautiful blooming flower fields around each corner. 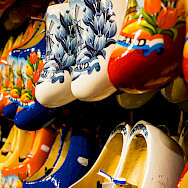 We visited many places that gave us a good overview of the customs and culture of the Netherlands. The biking was easy on mainly flat roads and trails which made the experience very delightful! 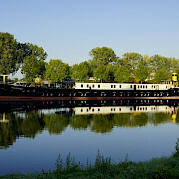 Our Bike and Barge trip on the new Magnifique III was the BEST! 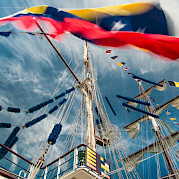 The boat was beautiful, the food was fabulous, the the guides and staff were so helpful and friendly. 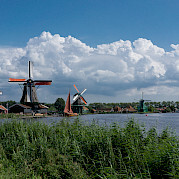 We'll never forgot all of the beautiful sites - windmills, tulips, and baby animals - just to name a few. Memories that will last a lifetime. I cannot recommend this vacation highly enough! The kindness and attention of Sanders and Als, owners of the barge, the delicious and beautifully presented meals, the bike tours so different every day, the size of the boat allowing super relations with the others, Rola the so friendly and helpful guide and to top it all, 5 days of perfect sunny hot weather....ordered by Tripsite, no doubt!! 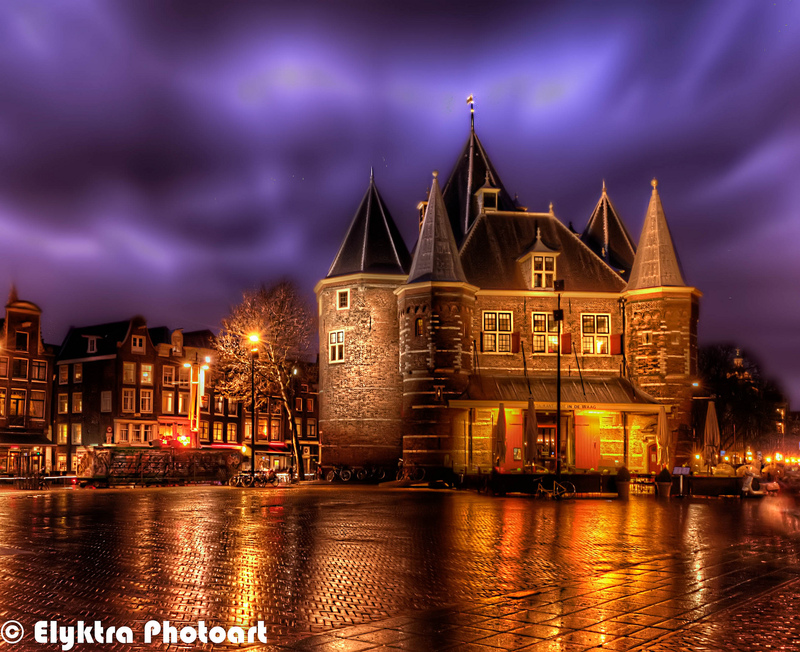 The Netherlands is a unique and beautiful country. We loved everything we saw. The flower auction was amazing. 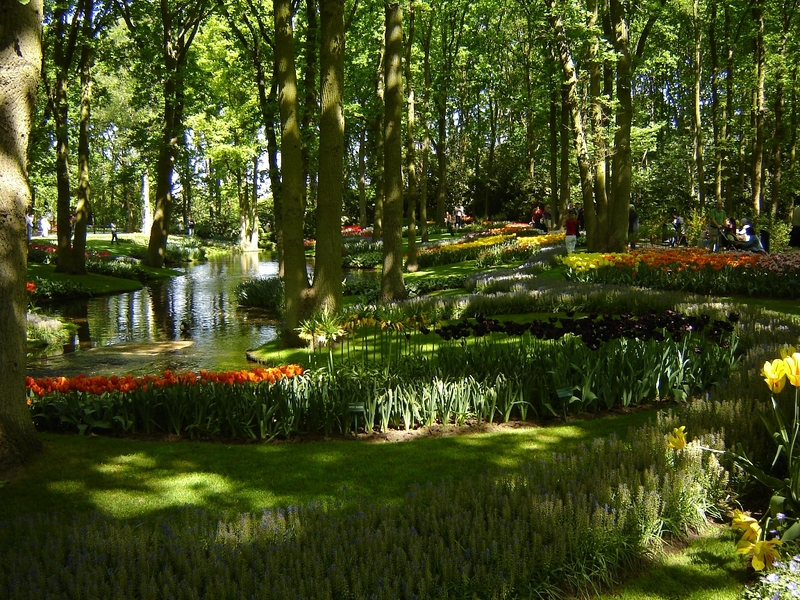 The Keukenhof was not to be missed. Our only problem was riding in a group single file through Amsterdam. We were strung out so long it sometimes took 2 or 3 lights to get through an intersection. 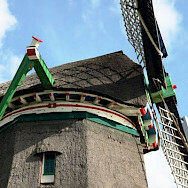 We were so far back from the guide we couldn’t say “let’s stop and check out that windmill”. We were spoiled. On the Danube trip we could go at our own pace with detailed maps. I would suggest people download the map app and go it alone. But really, how can you complain about springtime and hyacinths? The tulip tour trip is too short, but cycling around the flowering bulb fields was wonderful. 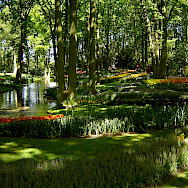 Visiting Keukenhof gardens in bloom was great. I didn't like assigned seating for our meals and the buffet organization on the Fluvius was terrible, especially when trying to make lunches in a tiny space with everyone grabbing stuff. Food arrangements were the weakest part of the tour, although they also hired an awful lounge singer one night. I have already recommended this trip to my walking and running friends as I am not a biker but found that it was very, very manageable with little current biking experience. I rode bikes a lot as a kid but just haven’t been on a bike much at all lately. This winter in Canada made it impossible to get out and get out on the bike ahead of time. Of course the flat Dutch terrain helped and I ended in the long group each day! The best part was that by being well looked after by the tour by way of food and the guides, the group came together in just a magnificent way. The days were laid out in advance for us and we were all quite comfortable. Everyone was relaxed and really good company. We soon were having a lot of fun! Just one tip that we should have more of the history explain on the bike trip, not enough info on the places we were seeing. Enjoyed the biking and food was great. Everyone associated with the barge was kind and personable. We met interesting people and enjoyed the 5 Star service of the entire crew. I’m sure all of our friends at home are tired of hearing about our amazing trip, LOL! We are already looking to book a future bike and barge trip and bring some of those friends along. The only thing that wasn’t perfect about this trip was the weather, but we made the best of it. 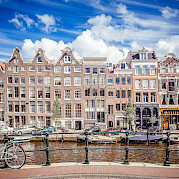 3 of my family and I will be doing a Best of Holland July 2019 and I'd REALLY appreciate info on the "bad weather" side of your trip. I'm thinking we should buy rain pants (jacket of course) just in case. 3 of us are not the best riders, so was it hard to ride in rain? Slippery? Did you ever opt not to ride but stay on the barge or just go into town and look around on your own? I'm finding it hard to get really good bad weather tips, info anywhere on the net or on reviews. I'm a "planner" so would appreciate anything you can suggest. Also, did you encounter a lot of wind and for the unexperienced bike riders, maybe better for the e-bike. Thanks a bunch!!!!! After sorting out problems with the bikes I was assigned I found the tour through the tulip fields to be amazing. I only wish the biking had been more leisurely with opportunities to stop and enjoy the fields and take more photos. Hello Rose, would you mind sharing a bit more information on this trip? I’m interested in going but a concern is that you ride through areas and don’t really get to appreciate all there is to see and experience. Also, what month did you go? 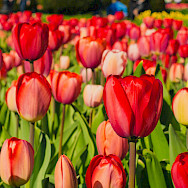 If I were to do a trip through the tulip fields again I would focus solely on experiencing the tulips and find a local guide to help me do it. That way I would be able to stop when I wanted to and take my time. The riding 20 miles a day meant an agenda that was not subject to change even when people in our group wanted to take longer in the fields. My comment to the guide after our second day was, "this is a TULIP tour, isn't it?". Kind of sums up my reaction. The most memorable part was the people we met. The Magnifique II ship was beautiful and very comfortable. The ship's crew were outstanding and very friendly. We especially enjoyed touring with tour guide Tom. We would love to take another trip similar to this in other regions and countries. We loved the entire trip. The bikes trips were great - always lots to see with just the right amount of time in the saddle. My sister (who is not used to much cycling) loved her electric bike. 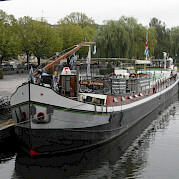 This was my second bike and barge trip on the La Belle Fleur for the tulip tour and it was fantastic. 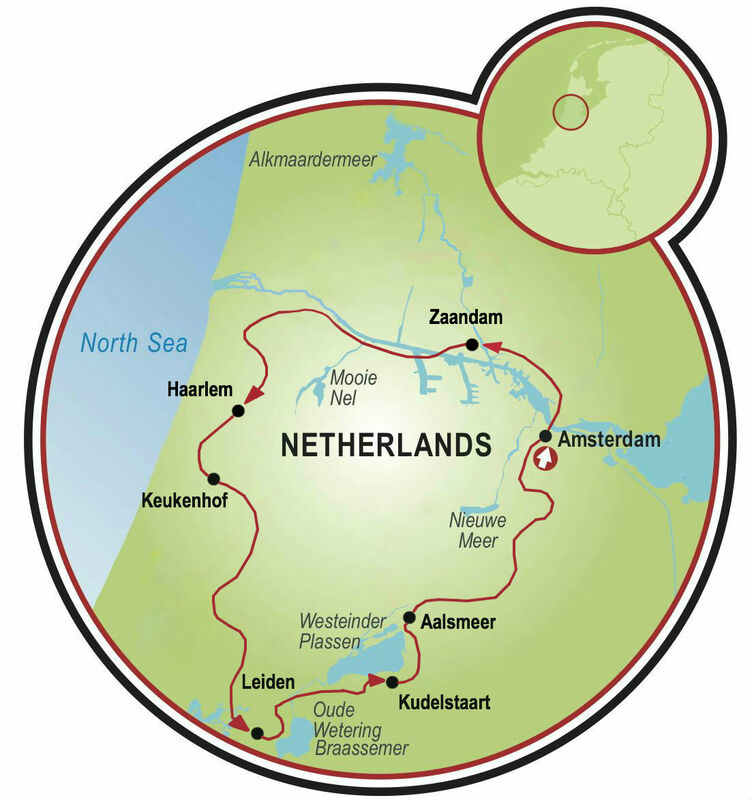 We had an excellent guide, Koehn, who selected lovely routes thru rural settings and we saw amazing fields in bloom, the national park leading to the North Sea and the Amsterdam Forest on return. The barge sparkled and Sanders and Els were very warm and welcoming. Our room was very comfortable. The new bikes had very comfortable seats and were lighter & BETTER for riding the 13 to 23 miles/ day distances. Unfortunately we hit a week of rainy inclement weather so we wore every warm layer we had plus scarves and rain gear. Our fellow travelers from Canada and Brazil were very good sports. I can't wait to try the France river trip on the Mosel River next time!! Thank you for making this trip of memories possible!! Absolutely fabulous people(both tour guide & barge owners), amazing routes and clean accommodating facilities. The food was plentiful and some of it quite good. Some meals were a bit thin and breakfast & lunch too much the same stuff. However, for the cost of this trip it was very satisfactory; I have recommended the Fleur d Bell and thank all organizers for a smooth and memorable trip! The boat crew were both very nice, friendly and helpful. The bike guide was wonderful - such a great guy, wonderful sense of humour, very kind and considerate. He was also very knowledgeable about the places we went. The bikes were excellent. 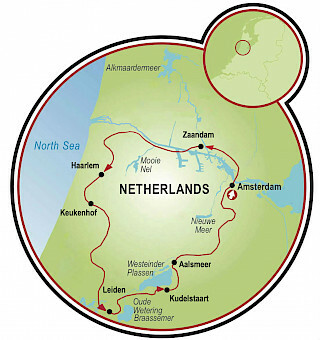 The routes we took were wonderful - made very good use of the great Dutch biking infrastructure, and we went through a very interesting mix of countryside, villages, pretty urban neighbourhoods, etc. More hot breakfast food. The route was semi-urban and suburban and that could have been made clearer beforehand. I liked doing one or more interesting stops each day. 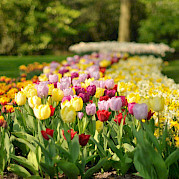 Keukenhof day was terrific, including cycling by tulip and hyacinth fields. My trip was wonderful. Sander and Els were incredible hosts and Arie was a fantastic guide. The information from Tripsite was spot on and very helpful. The only glitch I had was that the Tram stop for the boat was not correct but we found the barge without too much difficulty. I would definitely recommend this trip. The experience was very good; the only negatives are beyond anyone's control! I was not adequately prepared for the wind, which was far stronger than I anticipated, and I didn't have anything to protect my ears and eyes. My eyes and lips were severely windburned one day. Goggles, or at least wraparound sunglasses, and a headband to cover the ears are a definite must! Other than that, everything was good. The cabin was comfortable, and the meals were excellent. It was a very good value. Most tours cover all but a few meals; this covers all of them. Captain Sander and Chef Els were wonderful hosts, and tour guide Arie went above and beyond to make sure everyone experienced as much of the region as possible. The day bike trips and the evening city walks were really interesting. Wish we had managed to cycle close to some tulip fields. Sander and Els were perfect hosts. The food, the service, the accommodations were also perfect. I was very impressed with the cleanliness of the cabins. Sander and Els also were very willing to let me stay on the barge two additional nights after the tour for an affordable price. The biking was also very pleasurable, so much so that I was sad when I realized we were on our last day. Loved the trip and hope to do it another in 2016! I really loved: Tour guide, boat hosts, food, sights, other guests. 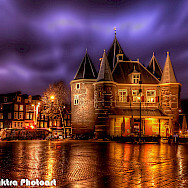 My husband and I have just returned from our honeymoon from Netherlands. Five of the 10 days were spent on La Belle Fleur with Sander and Els. I cannot say enough positive things about this bike and barge. I have been planning this trip for 8 years, so there were very high expectations that had to be met, which they successfully accomplished. 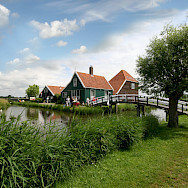 The barge was very cozy with wonderful food served daily, including traditional dutch cuisine. The bikes (Gazelle) were great in traditional dutch style. Our guide was knowledgeable and kept us on pace of a very full 5 day schedule. 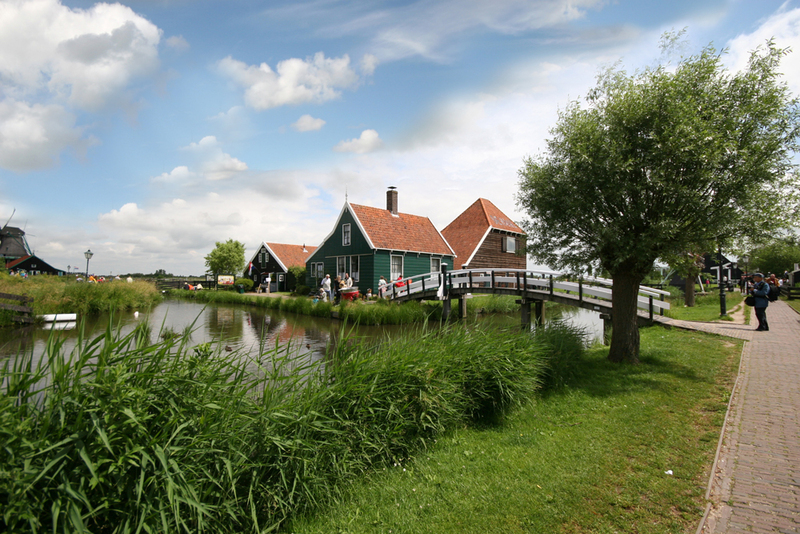 I highly recommend this trip if you are looking for an adventure and to experience the country in true Dutch style. I know I will be back to explore more of this beautiful country, hopefully aboard the La Belle Fleur for another adventure. I had a wonderful experience with Sander, Els, and Arie (sp). The food was amazing, the bikes were comfortable and efficient..enjoyed the walking tours and all the history information. Would recommend to anyone that wants a comfortable easy tour. We thoroughly enjoyed our trip and had no glitches. 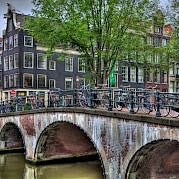 I would like to recommend the barge and bike trip around Amsterdam thru the US affiliate, "TripSite". The office was very helpful, pleasant and efficient. The information offered prior to the trip was excellent and unexpectedly thorough including a history of the history of the Netherlands! The excursion did not disappoint. The barge was compact, as expected but clean and comfortable. Most notably, the food was OUTSTANDING. The wife of the captain is an excellent cook and offered a different, interesting 3 course fair nightly. The passengers complimented her frequently after the meal and gave her special applause at the end. As promised we were offered coffee and cake just before disembarking. An extra detail but so nice for closure.The guide on our bike tour was fluent in English and happy to answer all questions. 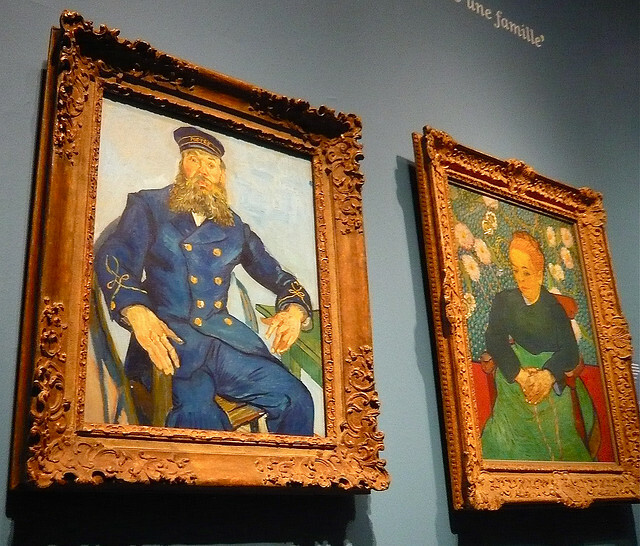 He was thoroughly knowledgeable in the bike routes, taking short a cut through the tulip fields because Read more… they had were largely harvested due to the very early spring. This allowed us an extra half hour at the OUTSTANDING Keukenhof Gardens. There was a medical emergency while we were biking necessitating an ambulance. He handled it efficiently without alarm. He and the captain called for taxis for those of us needing them at disembarkation and gave directions to trains, etc for others. They stayed around until all were on their way. 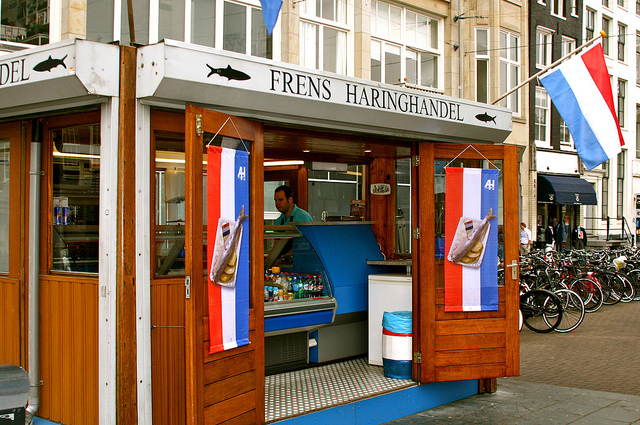 One of us talked to a local bartender in Leiden while using WiFi there. He asked what boat we were on and offered that it was "the best". He asked about the food. When we said it was outstanding, he offered that passengers from other boats had complained about their food onboard. Feel free to share our experience with anyone interested in such a tour in the future. Thanks again for your help. Our Tulip Tour in Netherlands was the most fun I've had on a vacation in years. Although there was a super small group, our guide, Lia, and the crew, Sander and Els, treated us incredibly well. The weather was cold, but we rode bikes every day, and even though it was too cold to see tulips, we managed to enjoy ourselves the whole time. 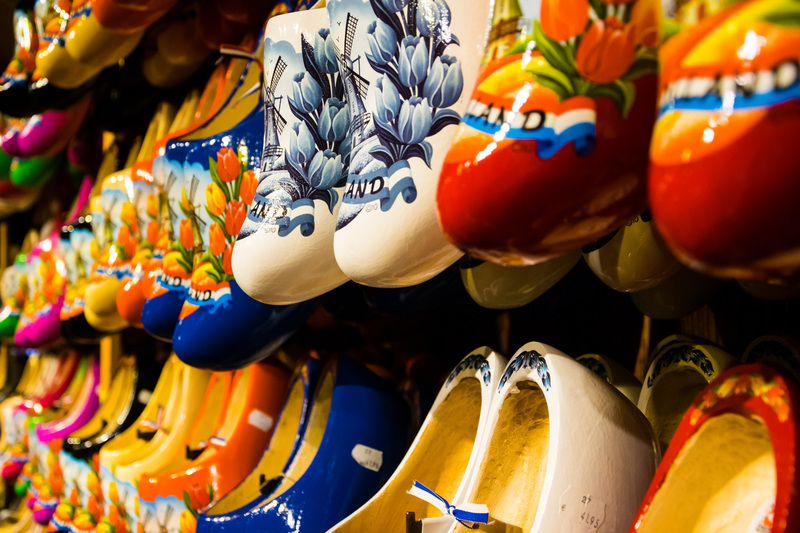 Lia was so knowledgeable about the people, lore, history, politics, and engineering of Holland that she made every moment come alive. One thing that surprised me were the many monuments to WWII and she explained the history and its impact on the people. In addition to the planned excursions, we were able to enjoy a few spontaneous stops along the way. With such a small group we found ourselves all together more than might have been expected, and never once did it feel as if anybody was bored with seeing the same few faces every day. Our crew were simply fantastic, telling us about the boat, the rivers in Europe, the locks we passed through, Read more… and the villages we stayed in along the way. The food was terrific, and even though the chef was a vegetarian, she prepared wonderful dishes that included meat with each meal. And the desserts each night were delicious. I've been thinking about this trip a lot ever since we came home, and I would be so glad to do it again. Marvelous vacation! We had a wonderful week, despite the strong winds which made cycling more difficult. The tour guide was excellent and very supportive of any problems. The very late spring meant that we didn't see any flowering tulip fields, but the fields of daffodils and hyacinths more than made up for it. The crew of the Eva Josiena could not have been more welcoming. Avalie esse passeio de bicicleta. Fluvius Bélgica, Holanda Barco da Categoria Comfort O MS Fluvius é um navio de classe Comfort Plus e pode acomodar 36 passageiros. Tem o total de 19 cabines (de 10 m² cada) com banheiro com chuveiro, 2 camas baixas, ar condicionado e ajuste de ventilação individual. 3 das cabines estão situadas no convés superior (com suplemento adicional) e 16 cabines estão no convés inferior. Todas as cabines possuem janelas fixas. O salão com um bar é um amplo salão de uso comum e possui uma área semi-separada do restaurante. No amplo e semi-coberto terraço, do navio de 70 metros de comprimento, possui mesas e cadeiras confortáveis, com espaço para guardar bicicletas. 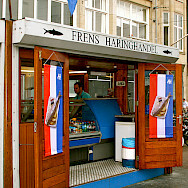 O navio navega sob a bandeira holandesa, e navega pela Holanda e Alemanha por vários anos. La Belle Fleur Holanda Barco da Categoria Standard La Belle Fleur foi construído em 1929 e reformado para barco de passeio em 1999. Este belo barco oferece cabines para 19 passageiros, um adorável salão de estar e amplo deck para banho de sol com mesas e bancos. Magnifique Holanda Barco da Categoria Comfort Plus Após a renovação no início de 2013, o barco teve seu comprimento ampliado de 50 metros para 63 metros e pode acomodar 32 passageiros. Outras características da renovação incluem um belo salão com um bar espaçoso, um terraço para banho de sol com cadeiras confortáveis, uma pequena piscina de hidromassagem para relaxar enquanto aprecia a paisagem depois de um longo dia pedalando. Refeições deliciosas são servidas diariamente no restaurante. Magnifique II Bélgica, Holanda Barco da Categoria Comfort Plus Magnifique II é o mais novo barco Comfort Plus que navega pelos canais e rios da Holanda e Bélgica. Oferece estilo e conforto, 4 cabines no deck superior com janelas panorâmicas. 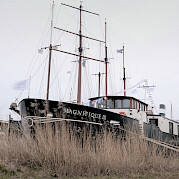 Magnifique III Holanda, Bélgica Barco da Categoria Comfort Plus Os barcos da classe Comfort Plus são barcos confortáveis, bem decorados, com cabines que oferecem banheiro privativo e cama sem ser do tipo beliche, ampla área de jantar, salão separado e mais.